Rotterdam held a conference organized by a Hamas front organization in which awards were given to those who aid the terrorist group and the maps eliminated Israel. So much for Hamas rapprochement. The recent conference organized in Rotterdam primarily by the Hamas front organization Palestinian Return Centre (PRC), went ahead without disturbance. This is yet another expression of the Dutch reality. Besides the local opposition in the municipal council by Tanja Hoogwerf on behalf of the Leefbaar Rotterdam party, Dutch reactions to this terror front meeting were limited to a few political statements and articles. This was not entirely due to the lack of willingness to demonstrate against the conference. A silent demonstration planned by the Dutch Christians for Israel was forbidden by the Rotterdam authorities because they could not guarantee the safety of the demonstrators. Yet guaranteeing the safety of those supporting terror was not a problem. This is one more proof of the ongoing dangerous Islamization occurring in the Netherlands. The troubled town of Rotterdam which has the country’s highest unemployment figure (over 11%) is an example of this growing problem. Dangerous Islamization should however not be confused with non-political Muslim religious and social activities. Carel Brendel, a retired senior journalist, listed nine suspect participants in the Rotterdam conference. Some received awards from Hamas, others helped Hamas in the Gaza flotilla, and others are Hamas lobbyists or officials of the PRC. Some participants were associates of the Muslim Brotherhood. Maps of the Palestinian territories that were hung up at the conference did not include Israel, reflecting the genocidal attitude of Hamas. Among the speakers at the conference was Nourdin El Ouali, leader of the local Muslim NIDA party. He compared the fate of the Palestinians to that of Rotterdam – which was heavily bombarded by the Germans – in the Second World War. Another speaker was the Belgian Lebanese Dyab Abou Jahjah. He stated that all those who called for the boycott of the conference support terror. Abou Jahjah had been fired earlier this year as a columnist by the Belgian daily De Standaard after he legitimized a terror attack in Jerusalem on his Facebook site. The dangerous Islamization in Rotterdam has manifested itself in many ways, including in matters concerning the Palestinian-Israeli conflict. In 2008 there was an attempt in the municipal council to twin Rotterdam with Gaza. Had it succeeded that would have meant direct contact between the Rotterdam municipality and the Hamas promoters of the genocide of Jews in Gaza. The motion was proposed by the Socialist party and the Green Left in the municipal council. It was supported by several Labour party members. The expression of dangerous attitudes by Muslims in the Netherlands occurs frequently. Citizens with Turkish nationality recently voted in the Turkish referendum on the issue of whether to give the Turkish President, Recep Tayyip Erdogan, more influence over his country’s government. About 82,000 Turkish nationals in the Netherlands supported the referendum and less than 34,000 opposed it. More than 70% of Turkish voters in the Netherlands supported Erdogan compared to the 63% who supported the referendum in Germany. The leader of the German Green party, Cem Özdemir, whose father hailed from Turkey, reacted by saying that one cannot “in Germany enjoy the advantages of democracy and in Turkey vote for a dictatorship. The death penalty, the suppression of minorities, and child marriages do not fit the values of Germany.” The same reasoning should apply to Dutch Erdogan supporters. In 2016 Rotterdam Labour Mayor Ahmed Aboutaleb considered participating in a trade mission to Israel. That trip was opposed by the Socialist party, NIDA and the Green Left. Yet in 2015, Aboutaleb visited Saudi Arabia on a trade mission with six Rotterdam Aldermen. At the Rotterdam conference Jan Wijenberg, a former Dutch ambassador to Saudi Arabia and Jemen, also spoke. He claimed that Jews have been guilty of fascism since the nineteen-twenties. There is much less criticism in the Netherlands of Saudi Arabia than of Israel. In order to find strong critique of Saudi Arabia one has to view a popular satirical program rather than to listen to the Dutch government. The presenter of the program, Arjen Lubach, said that the Netherlands fights jointly with Saudi Arabia against terrorists, trades with it and its royal families are friends. Lubach mentioned that when the previous king of Saudi Arabia died in 2015, all the King’s friends were invited. 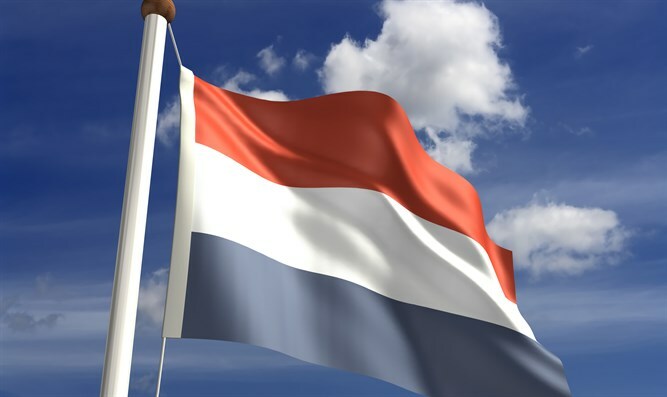 The Netherlands sent its “heaviest delegation,” King Willem Alexander and Labour Foreign Minister Bert Koenders. Lubach then went on to describe a series of extreme anti-democratic measures Saudi Arabia has in common with ISIS. These include the death penalty, cutting of limbs as punishment for crimes and child marriages. He remarked that the Netherlands was preparing for self-driving cars, while Saudi Arabia does not even have self-driving women. At the Rotterdam conference a flyer was distributed with recommendations for Dutch parties to support. These included the Socialist Party, Green Left, Labour, the Turkish-Moroccan Denk and the Party for the Animals. Some of these parties might not be so happy to know that looking away from Hamas’ genocide plans might be so explicitly rewarded. The suspicious character of the conference gained international attention. 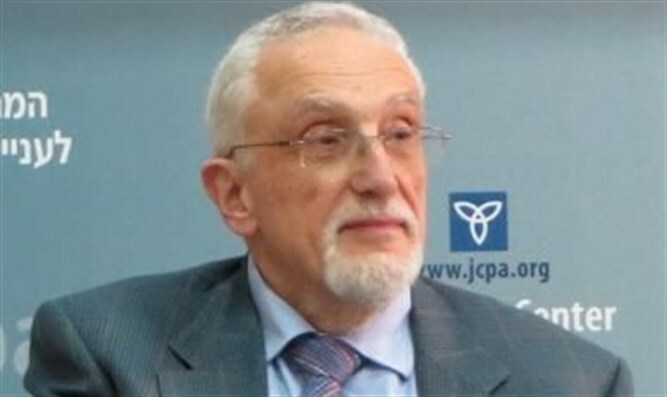 Rabbi Abraham Cooper, Associate Dean of the Simon Wiesenthal Center wrote to Dutch Prime Minister Mark Rutte. Jeff Daube, Israel director of the Zionist Organization of America, drew the attention of a member of Congress to it. Both letters were published and can be read on the internet. The articles of the Jewish news agencies JTA and JNS on the conference were widely quoted. There were also articles in international and Israeli media. Several of these articles were distributed to the members of the Rotterdam Municipal Council. It may well be that Aboutaleb’s recent attitude is an important sign of changing his stripes. This might be due to the results of the 2017 parliamentary elections when Denk outperformed Labour in Rotterdam. Watching Aboutaleb’s future behavior should however be just one aspect of monitoring developments in the highly problematic city of Rotterdam.